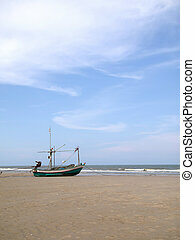 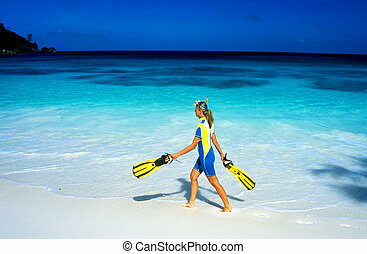 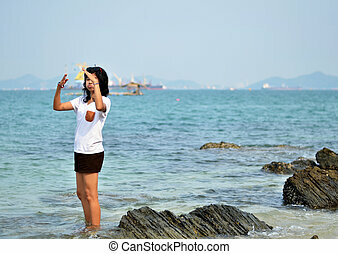 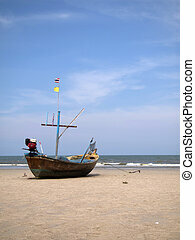 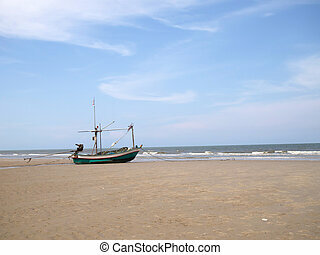 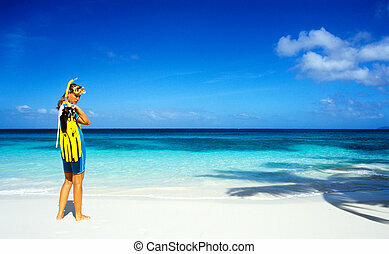 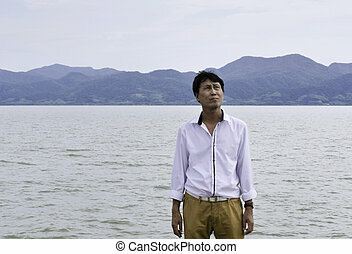 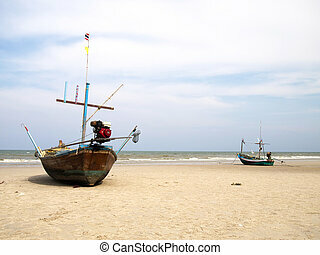 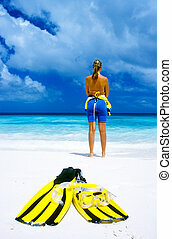 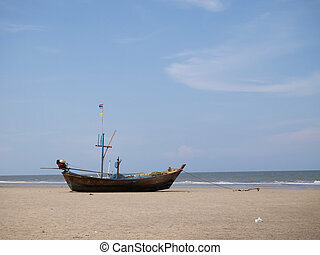 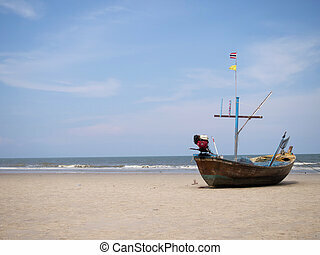 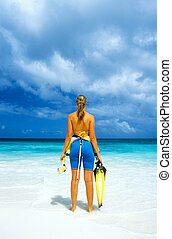 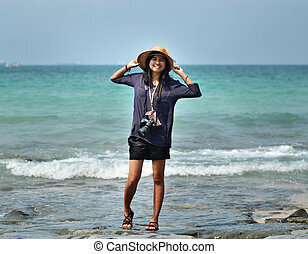 Asian woman on beach summer holiday. 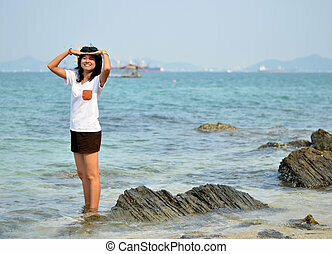 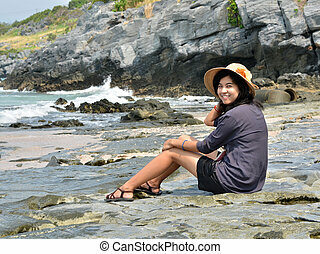 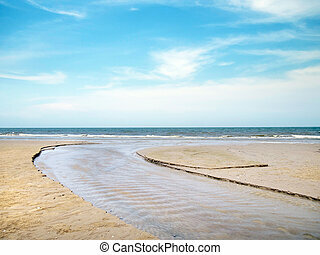 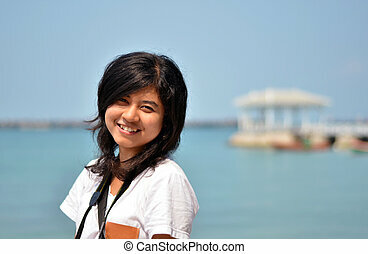 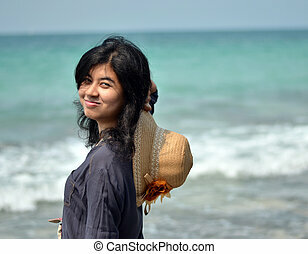 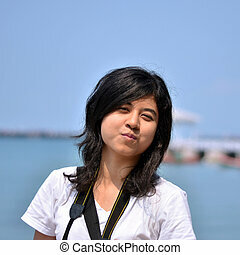 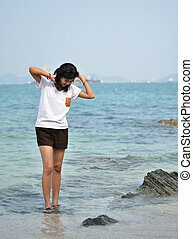 Young asian woman on beach summer holiday. 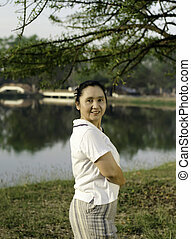 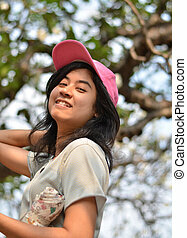 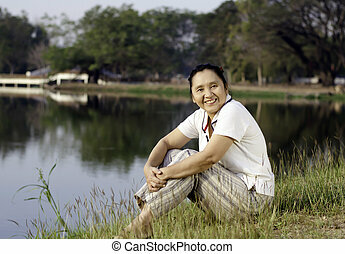 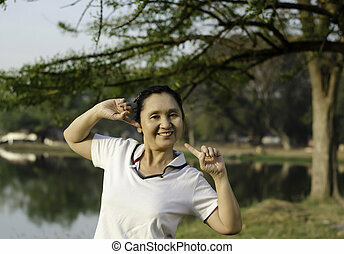 Happy woman in spring / summer smiling carefree and joyful in beautiful park.